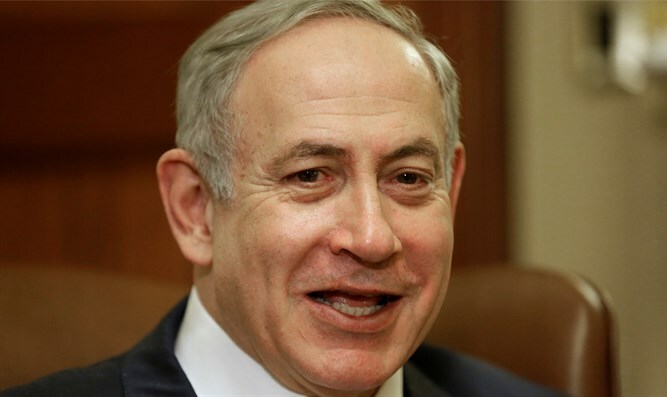 PM's office strongly denies Arutz Sheva report that Netanyahu instructed a freeze on thousands units in Yesha he had approved. Prime Minister Binyamin Netanyahu ordered Housing and Construction Minister Yoav Galant to freeze thousands of housing units which Netanyahu and Defense Minister Avigdor Liberman had recently approved for construction in Judea and Samaria, it was reported Wednesday. Netanyahu and Liberman had issued two announcements that a total of 5,500 housing units would be constructed in Jewish communities in Judea and Samaria shortly after US President Donald Trump's inauguration in January. 2,000 of the units were to be available to be marketed immediately. “We are in a new time period in which life in Judea and Samaria is returning to normal, and we will provide an appropriate response to the needs of the residents of the region,” said Liberman. A partial list of communities where housing units have been approved includes: 700 in Alfei Menashe, 200 in Oranit, 50 in Nofim, 650 in Beit Aryeh, 30 in Efrat, 150 in Nokdim, 150 in Givat Ze'ev, 70 in Shavei Shomron, 100 in Karnei Shomron, 100 in Shilo, 100 in Metzudot Yehuda, 80 in Kfar Eldad, and 650 in Beitar Illit. President Trump asked Netanyahu to "hold back on on settlements for a little bit" when the Prime Minister visited him last month.